Cook pasta according to directions making sure to season the water with plenty of salt. Slice the chicken breasts into thin strips and season with Italian Seasoning. 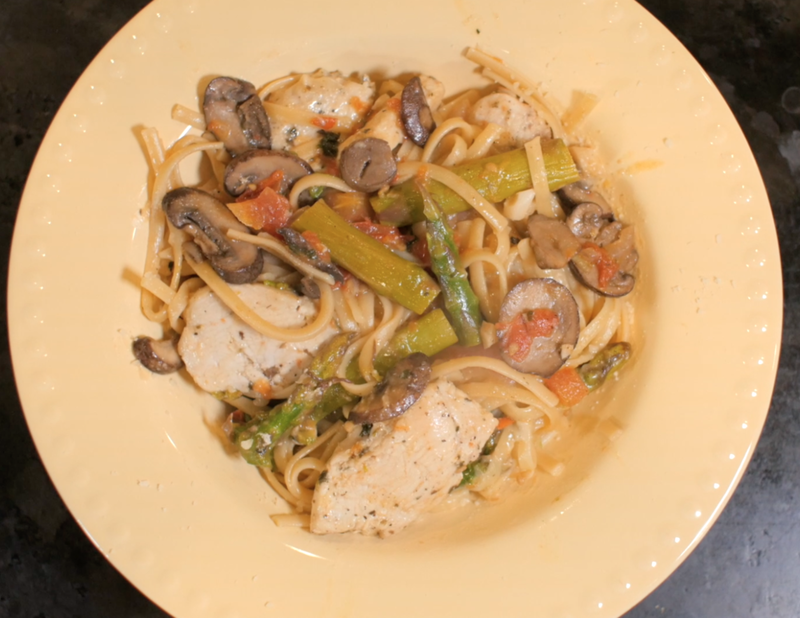 In a large skillet over medium high heat, add the olive oil and once heated, add the chicken and mushrooms and cook until they start to brown and the chicken is cooked. Next add the garlic, red onions, cherry tomatoes and season with salt & pepper. Cook for two minutes. Add the veggie stock and the asparagus and bring to a boil and simmer for five minutes. Plate the pasta and garnish with parsley and serve.